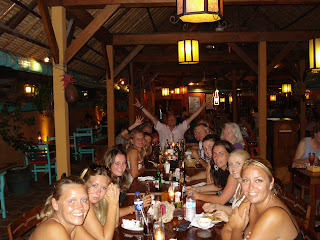 I have been to Bali 4 times now so I have seen a little bit of it and I know a little bit about what to do there. 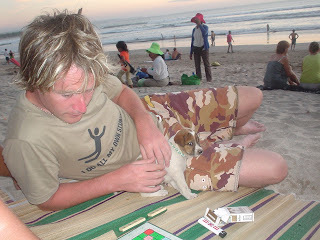 First I would like to say that the first time I went to Bali in 2006 I loved Kuta. The reason why I loved it is probably because we were a group of people who met up there and we had so much fun. Now I do not love Kuta that much. 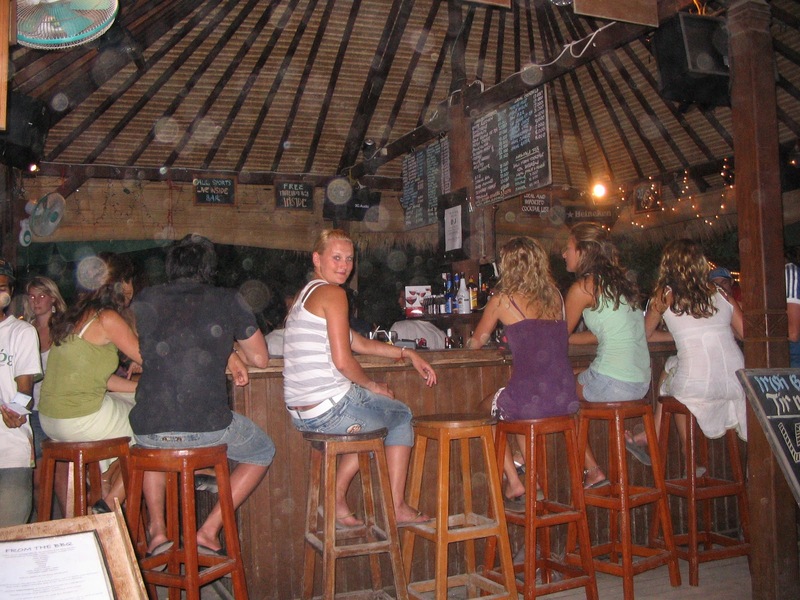 It is very noisy, crowded and full of young Australian people who cause a lot of trouble. 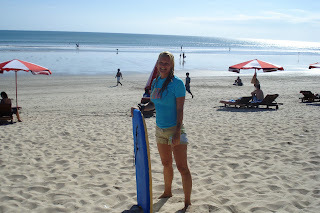 I think Kuta is the Aussie way of syden as we Norwegians know it. 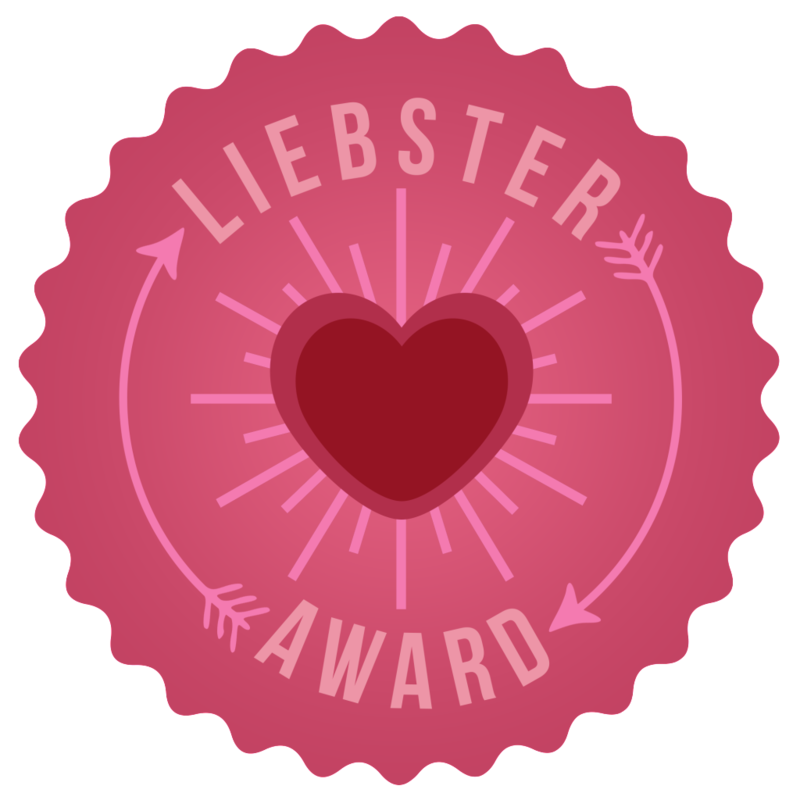 Charterfeber times 5 or something. 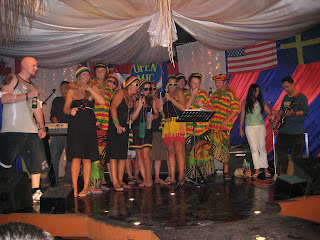 However, if you are up for party Kuta is the best place. 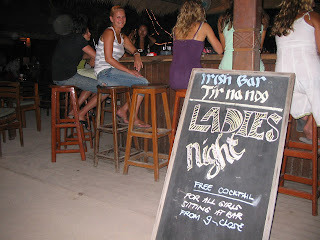 I also noticed that it has gotten a lot more expensive the last few years, well 50.000 rupia ( 30 nok) for a drink is not what most people would say is expensive, but in Bali that is not cheap. 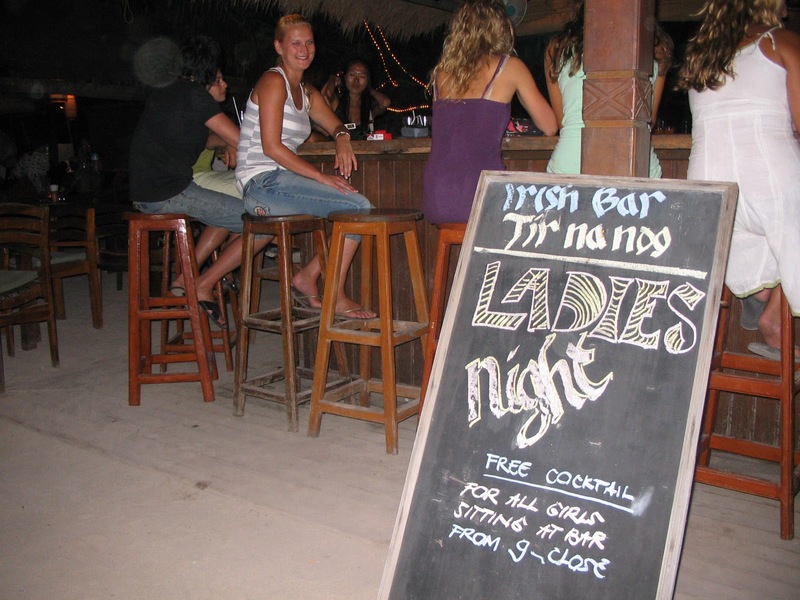 So if you want cheap drinks find happy hour, it is at all bars, everywhere. 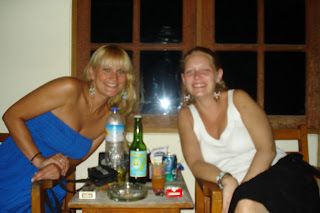 And bring your own wine from the duty free, Bali is not a good wine place. Some places have imported wine from Australia, but it is expensive everything from 350.000-550.000 rupia (about 210-330 nok). Most places have the local wine and it is okay to drink, at least when you get use to it and the price is about 170.000 rupia (about 100 nok), same price in the bars and restaurants as in the shop. 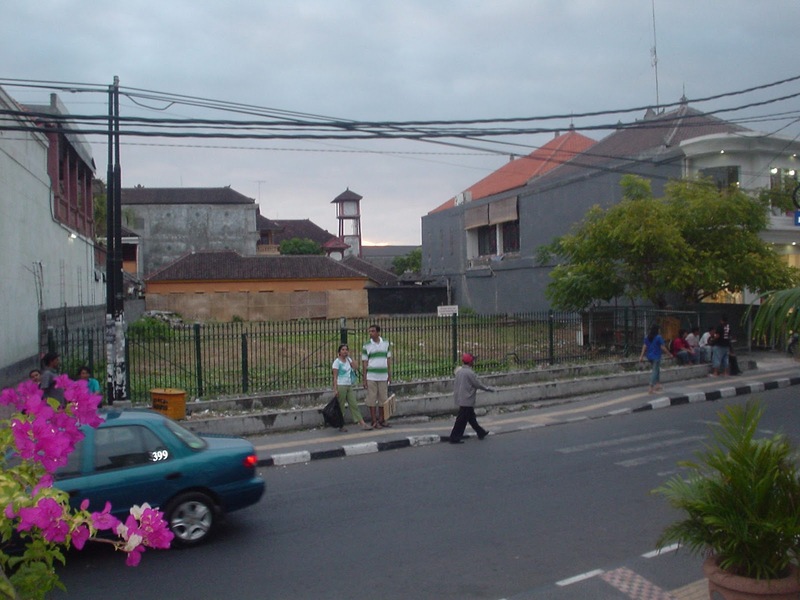 Well, when it comes to party there are a lot of places to go to, and at night time it is one street where you find it all, Legian street. I have spent don't know how many hours in Bounty Ship, and have had a lot of fun with the happy hour they have there which last till 23.00. Buy one get one free! 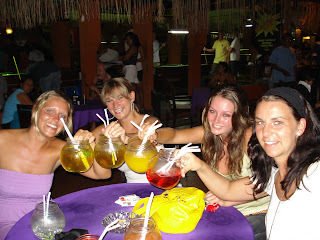 Price 35.000-50.000 for a good drink, meaning about 20 nok for two fishbowls of longdrinks( please note that this was the price in 2008, it might have changed a little bit). But as I said there is a lot of places to go to and you will always find something. What you get everywhere is; alcohol, live music, karaoke, pooltables, dansing, party! Well as I said there are a lot of places to go to if you want to party! Kuta is really all about having fun and for me eating is part of the fun too. 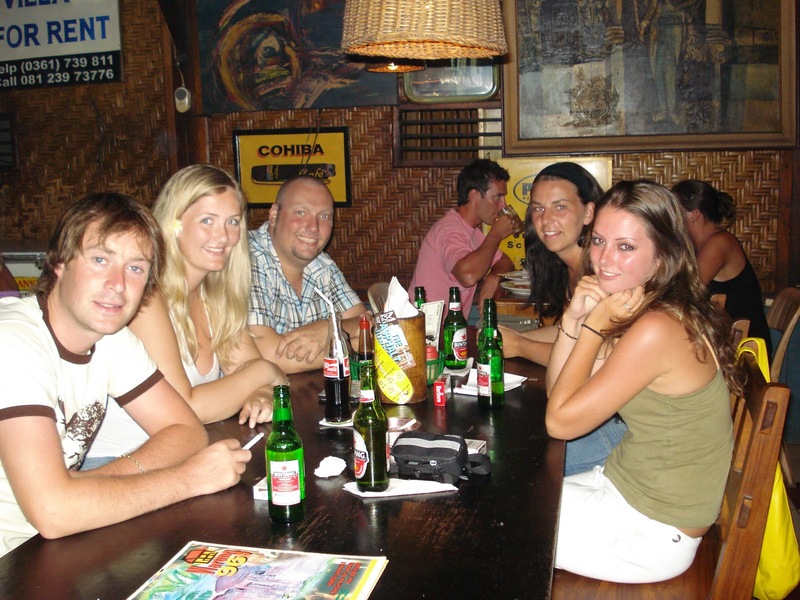 Going to dinner in the evening with a group of friends or someone special is just a great start of a perfect night. 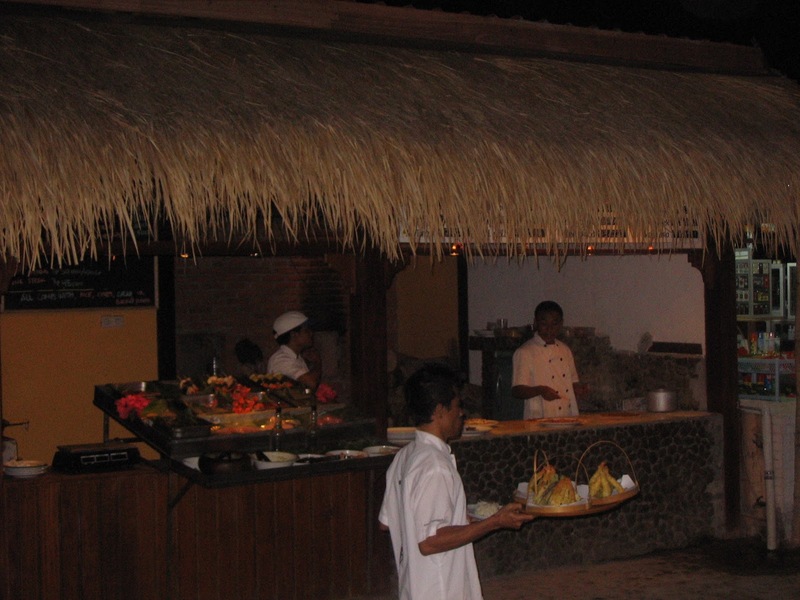 If you are in Kuta you have so many different options for dinner. My favorites are, Tree House: can go there for everything, breakfast, lunch, dinner, you name it. They have a big menu with all different selections, all from European to Indonesian food, cheap as well. Secret Garden is also a place you should go to. Kind of the same price as Tree House. But if you want a really good mie goreng (traditional Indonesian), this is the place to get it. 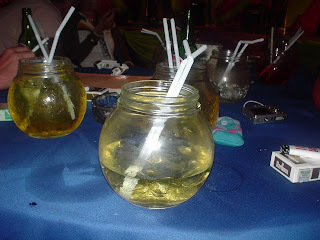 TJ'S and Havana Club have great food, kind of Mexican but also some other dishes, it is so good.......... But a little bit more expensive than other places. All these restaurants you can find in Poppies 1. 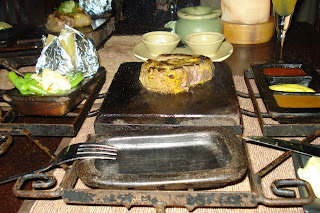 Another restaurant you should go to is Kori, located in Poppies 2. Also one of the higher class restaurants in Kuta but definitely worth going to, they have great food. Mostly European but also a little bit Indonesian. I can be a little bit picky with my breakfast, I like soft boiled eggs. 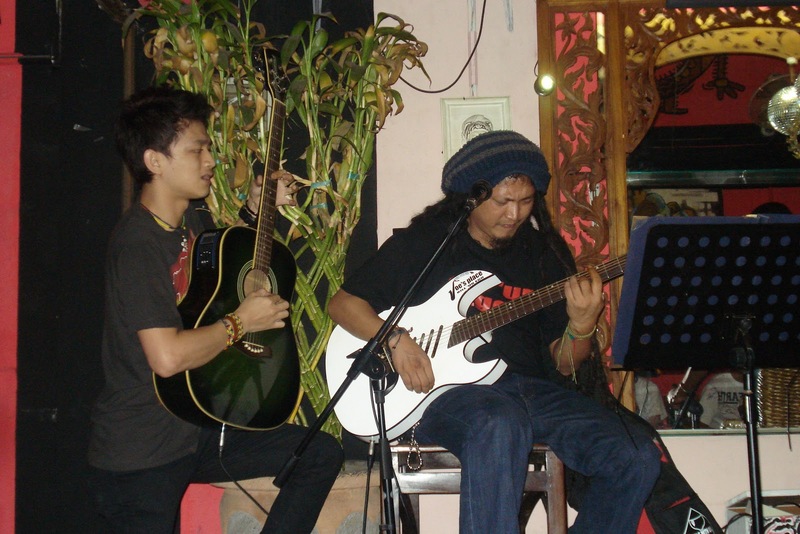 If you want that in Kuta, you have to go to Jegjeg Bulan in Poppies 2. They will make you a perfect soft boiled egg:) And a lot of other breakfast as well, of course! Pizza place, Warung 96, close to Jegjeg (don’t know if I am spelling it right). Every place along Poppies 2 is okay places to eat more or less, I just want to point out a few. Oh yeh, Hard Rock Cafe is also in Kuta, need I say more? It is just like in every other city or town. 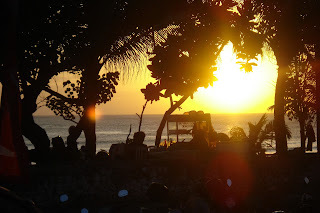 For a nice romantic dinner, go to one of the restaurants on the beach in Jimbaran, make sure you are there before 6 o'clock so you can have dinner in the beautiful sunset. Standard room in the Hard Rock hotel. 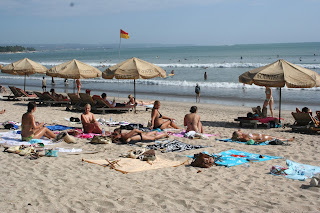 It is very nice, but when you are in Kuta you probably want to travel around a bit so this is good for a couple of nights. 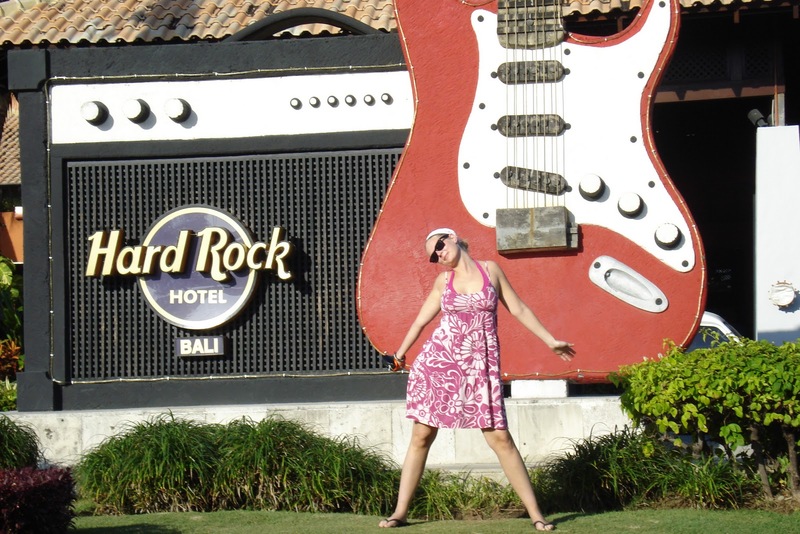 Expensive for Bali, but standard hard Rock prices I guess. Also another eating option, for lunch that﻿ is, you can eat at the small stand at Kuta Beach. All along the beach there are small stands with different kind of food. It is actually not bad at all! 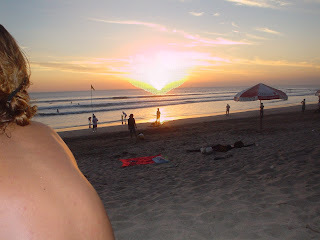 Kuta Beach is the place where all people come together in the day time. The beach is not really nice at all, can be a bit dirty sometimes and the water is not as clear as people might prefer, but still, this is where everybody comes to either enjoy the sun, surf, boogieboard, watch the sunset or just pamper themselfs a bit. 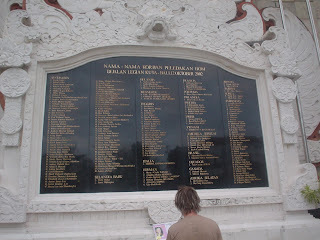 Other things you might like to see in Kuta is the memorial for the Bali bomb. They have made a very nice memorial plate with all the names and nationalities of the people who died from the bomb. One one side of the road you have ground zero, that is where the nightclub used to be, and on the other side you have the memorial plate. 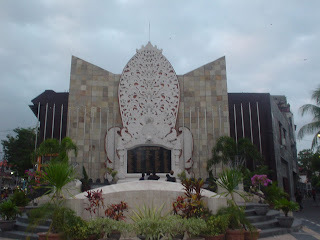 Should go and see it, it is right by the cross road from Poppies 2 to Legian street. 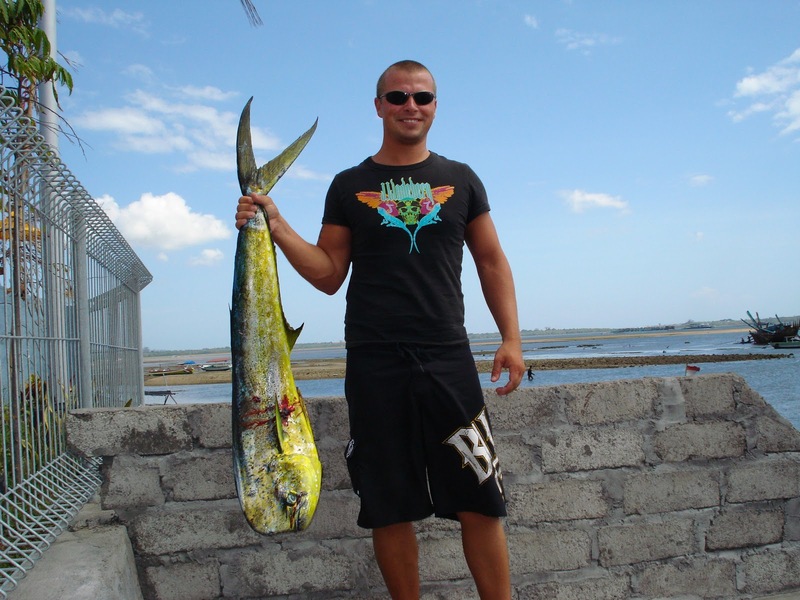 This giant fish is a Mahi Mahi, it is a deep sea fish in the tuna family, and it is one of the best fishes I have ever tasted. 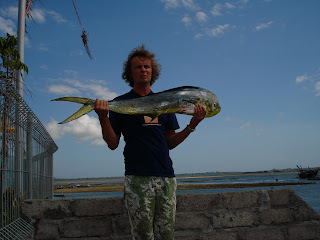 This type of fish is very common in a lot of countries, but not in Norway. 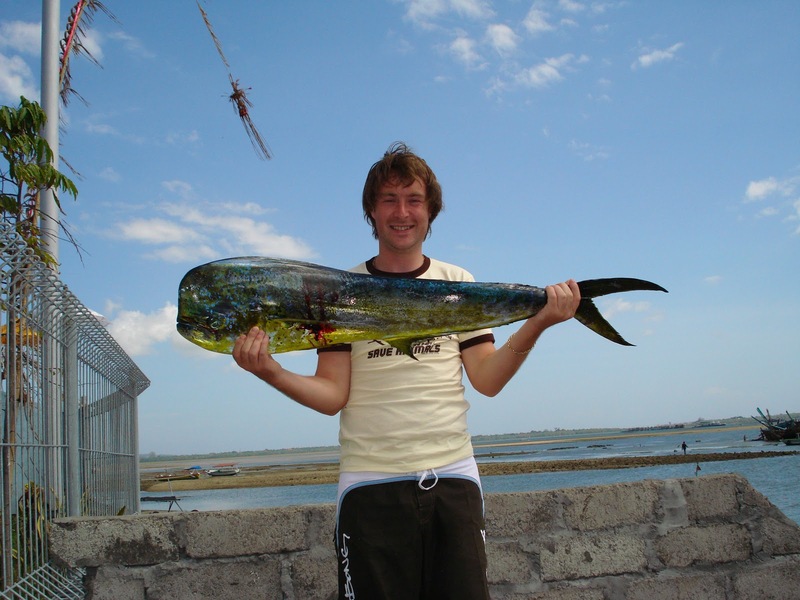 Have you ever seen Mahi Mahi on the menu in Norway, or Scandinavia for that matter! Maybe not even Europe when I think of it. 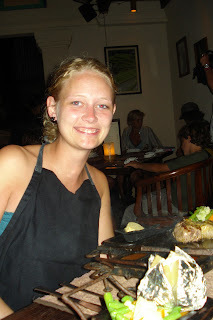 Well, anyway, what we did with the fish was that we took it to one of the restaurants in Kuta and got them to cook it up for us. It fed 8 people and it was loads left! A brilliant experience to do this. Other stuff to do for day trips is to go to Uluwatu and the resort there. 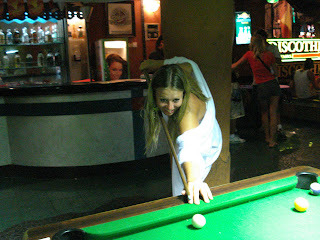 In 2006 it was 150.000 ruipa to stay there by the pool for the day, and that included lunch and one or two drinks. Don't think the price has changed either. It is really beautiful. 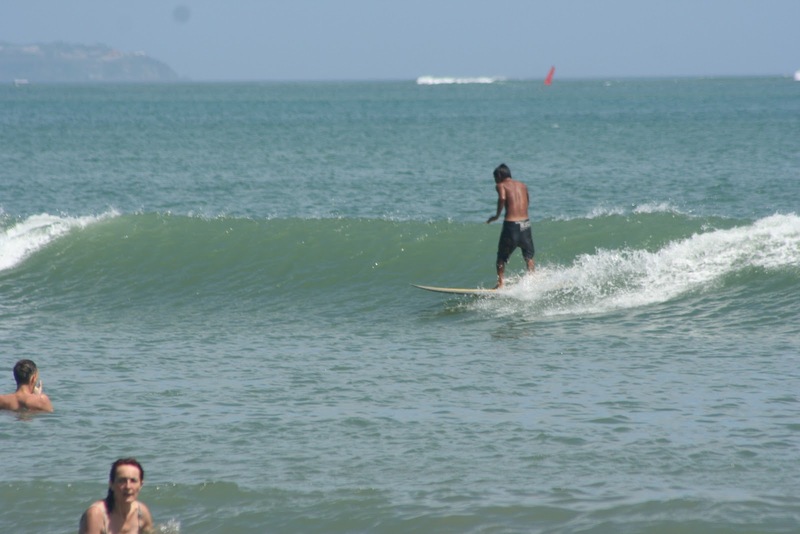 In that area you can also walk around and see one of the really good places for surfing competitions and there is a monkey temple not too far from here. But be aware of the monkeys, they can be aggressive and right now in January 2011 there was rabbis amongst monkeys and wild dogs, so do not pet them. Just keep your distance and you will be fine. 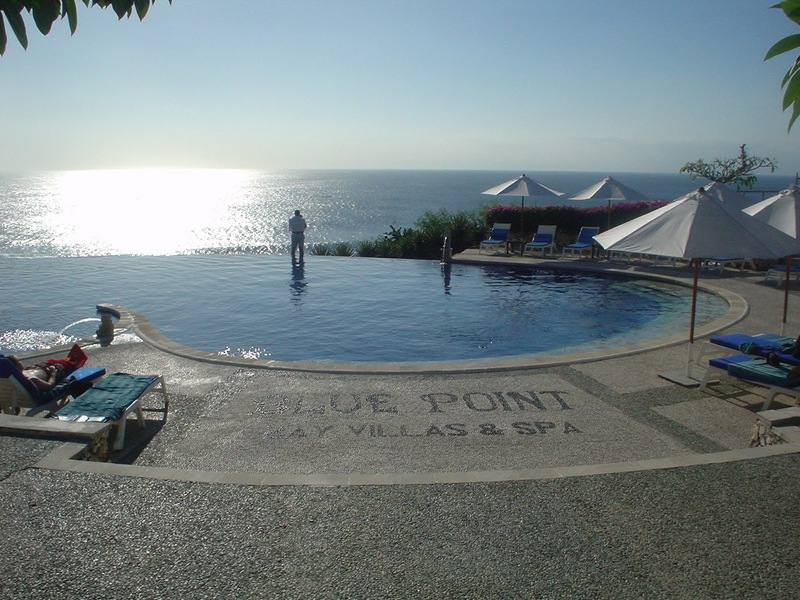 But go to Uluwatu resort if you want to relax for the day. Something else I have done a few times is go to Dreamland. Sadly this place is not what it used to be as there has been build a big resort on that property. but I hear you can still go there and pay your way in and enjoy the wonderful beach they have. That beach is beautiful, white sand and crystal clear water, but be careful the waves are high and the current is very stron. 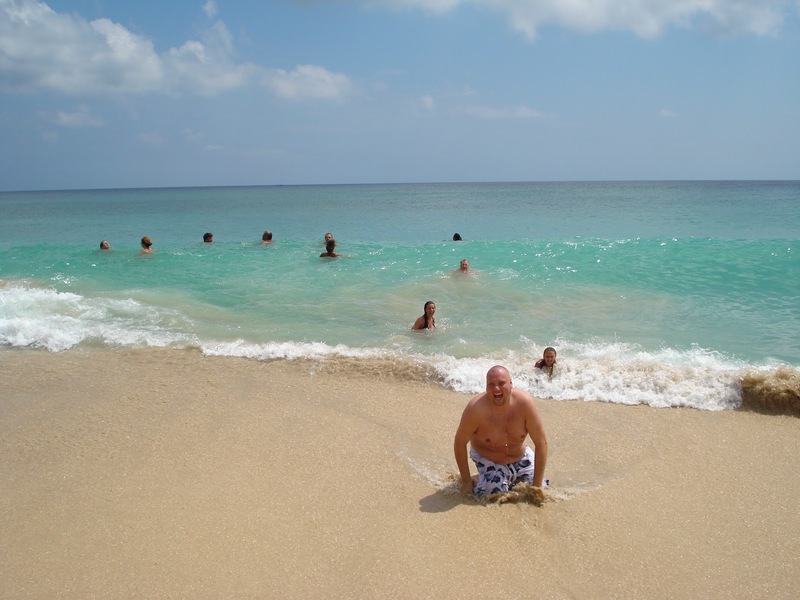 When you look at the pictures now make sure to remember that in most of them we are taken by the current and are struggling to stay on you feet (pictures in the water that is). Anyway, if you ever travel to Bali, you just have to go to the Gili Island. 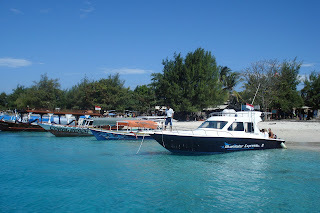 The Gili Island is 3 small, very small, island about 1 hour with speed boat from Padang Bai. 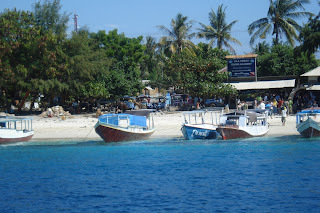 Gili Trawangang, the biggest and most popular one, Gili Meno and Gili Air. You can book trips to Gili more or less everywhere in Kuta. If you go by speed boat, as I would recomend, you can either go with GiliCat or Sea Merlin. Any other company you should not go with, unless they tell you they go from Padang Bai and they can ensure you that they are speed boats. Padaing Bai is the main turist harbour and that is where you can catch speed boats and it is about 1 hour driving from Kuta. 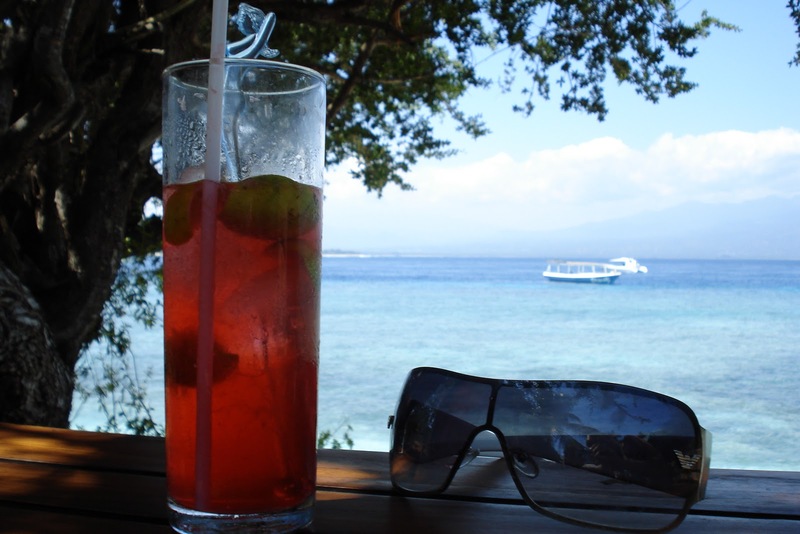 There are other boats and ferries going from Bali to Gili, but they are anything but fast! GiliCat is a little bit expencive 1,1 mill rupia about 890 nok and Sea Merlin is 600.000 rupia, about 360 nok, both prices are return. 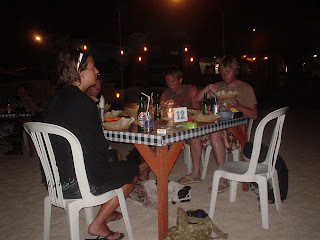 We experienced the difference with those two companies this time, and as we travelled GiliCat and the sea was so ruff that they could not go from Gili back to Bali they fixed everything for us. First they sent me a text message to confirm our booking going back to Bali and after that (when the sea got so bad) they called our hotel to see how they could help us to get back. It was only one option and that was flying. Be a little bit careful with flying in Indonesia, stick with airlines like, Wings, Lion Air, Garuda or any other "big" airlines, stay away from the small ones (except Susi Air, they are good). 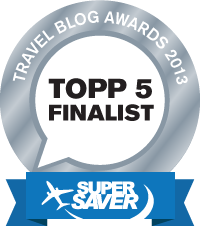 However, one the phone I asked if they could fix a flight for us and of course they could. A two minute phone call resulted in full transportation back to Bali. Boat from Gili to Lombok (big island 20 min from Gili Trawangang), bus from the harbour to the airport, flight (26 min) from Lombok to Denpasar, met by a driver in Denpasar who drove us to the hotel. But this does not mean that Sea Merlin is bad, they are very good, but it is lika a low cost airline, you get what you pay for, so not so much service because they can not afford it. However after a lot of don't know, it turned out the Sea Merlin could go from Gili to Padang Bai, even though a bit bad weather on the sea, and GiliCat people had to fly. Anyway, going to Gili is worth every penny!!!!!!!!!! If you stay at one of the most popular luxury hotels in Gili Villa Ombak you will be met by a driver. And a driver in Gili does not use a car or anything motorised, horse and carriage! But look at such a greeting. When you arrive in Gili you will be taken by the beautiful beaches and the calm atmosphere, you just know you will have a good relaxing time. 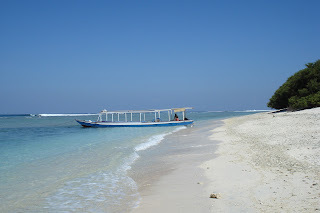 Gili is just like the rest of Bali, i you do not have a hotel booking, no problem. 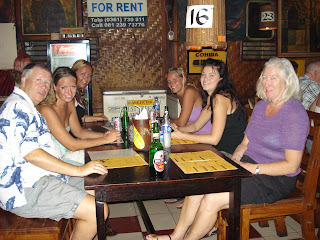 Most people travel to places in Bali and Gili without hotel booking. I like to have that in order before I arrive so this time we had booked us in to Big Bubble. This is a very good and very cheap place. Also, in Gili, everything is located on the one street so you will not have any problems finding your way. 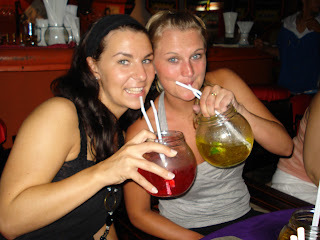 Big Bubble is probably one of the cheapest places in Gili, and the standard are okay. A fan room is 250.000 rupia a night ( about 150 nok) and a/c room is 350.000 a night (about 210 nok) , 325.000 rupia a night if you stay one week. The best thing about Big Bubble is that you can get your breakfast at any time. Jippi.....!!!!!!!!!!!!!!! 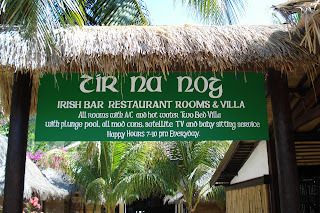 There are so many nice places to stay in Gili and another one is Tir na nog. That is an Irish bar, restaurant, hotel and it is very nice. I stayed there a few years ago and liked it very much, but when we got back this year they had changed a lot, all for the better. They even have a very nice swimming pool now. 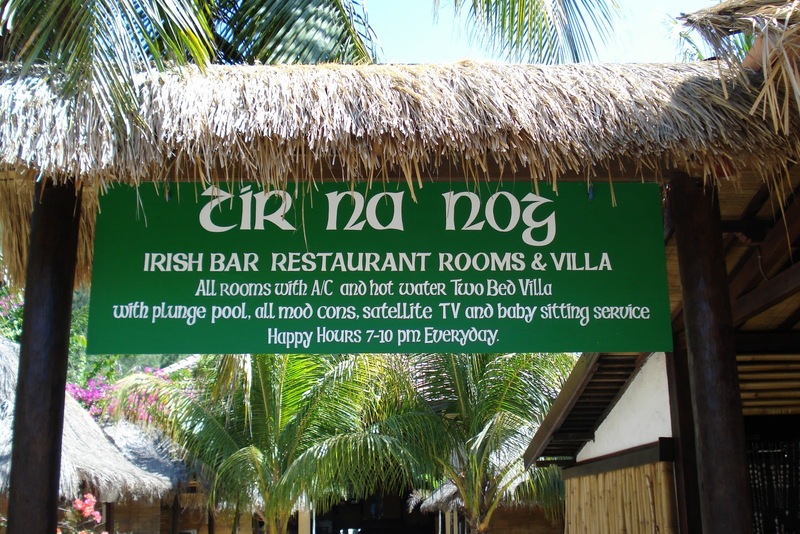 At Tir na nog there is a party every wednesday, but you can go to the bar there everyday if you like. If you are not too picky on your alcohol order the local spirits, they are okay and only 16.000 for single and 21.000 for double drink. (about 10 or 13 nok). The food at this place i also very good, they are known for their pizza. 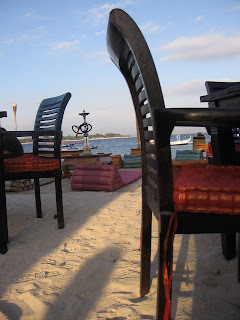 If you are in Gili you are bound to go here at least 3 or 4 times. 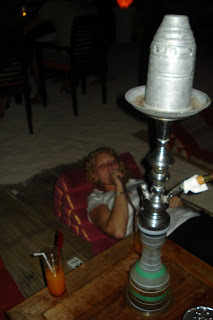 As I have said, Gili is all about relaxing and having a good time. Even if it is a small island there is always something to do. You can find some really nice and good dinner places, like one of the indian restaurants where you can, if you want, lay down on the sandy beach and have you dinner followed by an after dinner shisha. Otherwise you have again Tir na nog, good food, good drinks and good atmosphere. The Beach house (also very nice to stay at, very nice rooms and facilities like a good pool. The bars and restaurants are all lined up in that one main street so you can just take you pice from what ever you like. 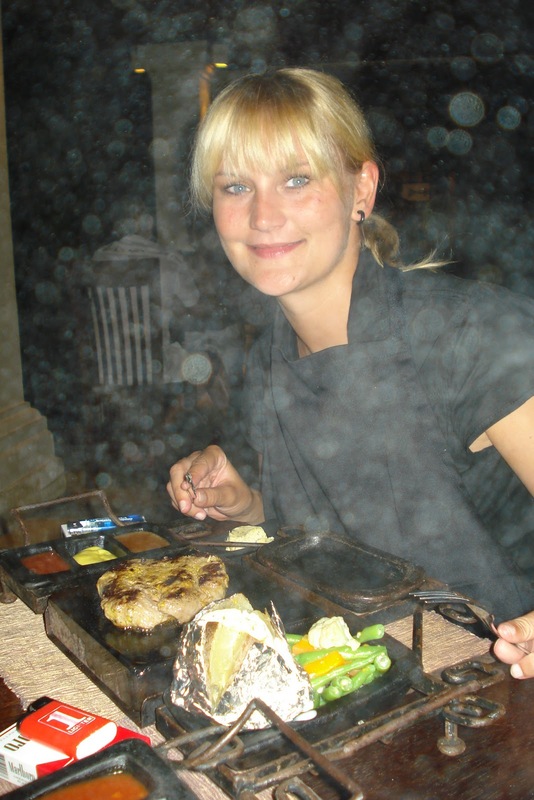 Make sure you try the seafood bbq at least once, many restaurants have it and it is very good. Rudy's is a place where there always is a party if you are up for it! Can sit in little hutts and drink beer, wine, long drinks or whatever you prefer, just enjoy the evening with all your friends. It is very easy to get to know people in Gili so by the time you leave you will probably have made some new ones too. 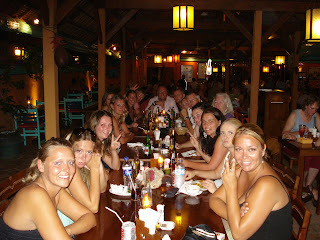 There are also a lot of activities you can do in Gili. 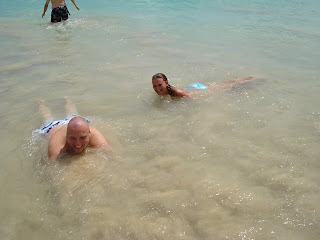 Snorkeling is something you can find everywhere and the snorkeling trips are good. 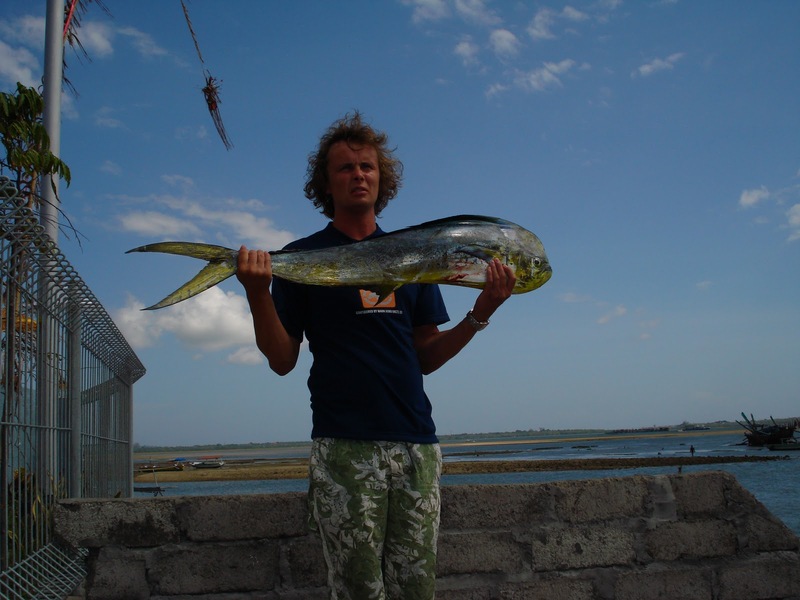 There is so much to see and if you are very lucky you can see big sea turtles and loads of different fish and other animals. 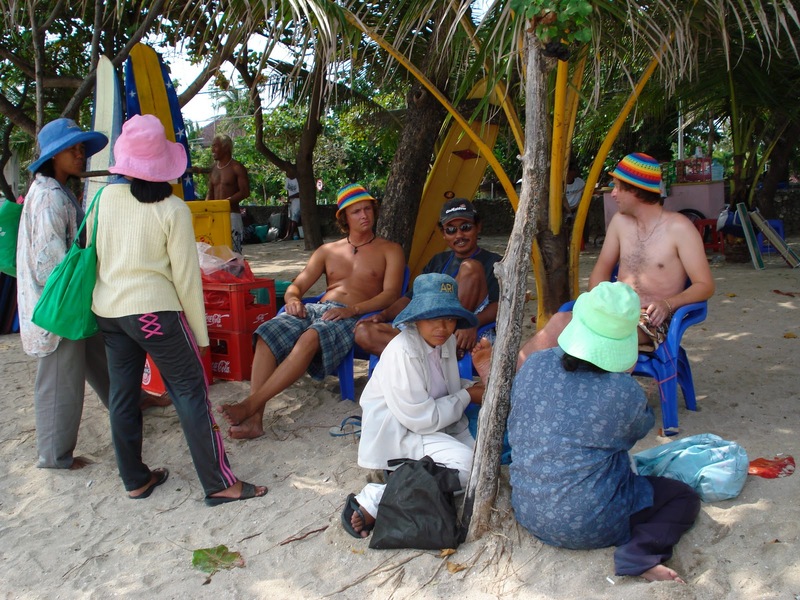 Snorkiling gear can be rented on the beach or you can go on a tour with a guide. 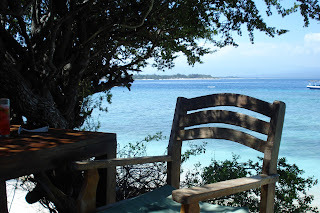 You can also go to other daytrips or over night trips to Gili Meno and Gili Air or Lombok. 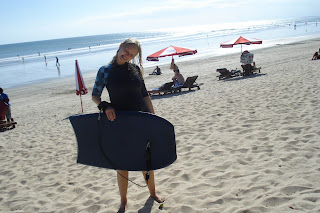 However if you go to Lombok you have to go to Kuta, Lombok and it is a bit of travelling time to get there from Gili Trawangang. First boat, then a two hour bus tour. But if you are just staying in Gili Trawangang, why not rent a bike and go around the island and stop for lunch at one of the tree hutts. 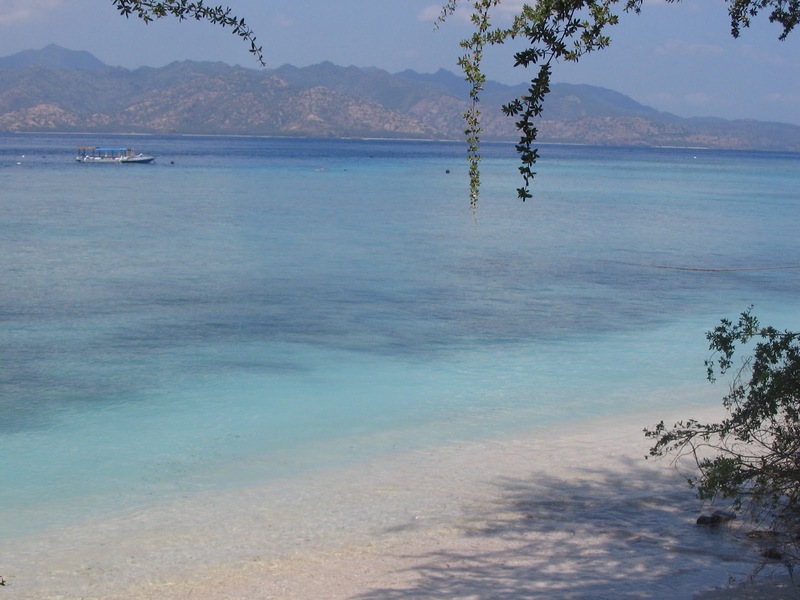 If you are one of those who just like to enjoy lazy days at the beach, Gili have some really nice beaches. Light, soft sandy beach with clear turkoise water. 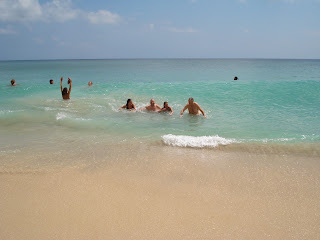 The current can be a little bit strong here so just be carefull and don't swin too far out.﻿ But the beach life is good! 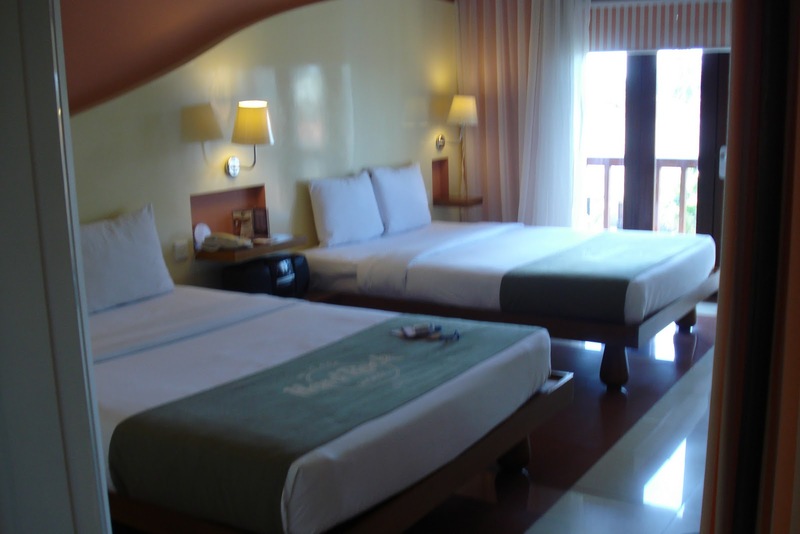 If you are more of a chilled and relaxed person who like ta stay in one place for the holidays and like to be at resorts areas, Nusa Dua and Benoa is good places for this. We stayed 3 days in an all inclusive resort in Tanjun Benoa, the Nusa Dua area, and it was very good. The resort, Club Bali Mirage is not the newest resort there so the interior can be a little bit out of date some places. However, they have a lot of Balines decoration also and really wonderful rooms Our room was huge and really great. All over the area you have different types of resorts, everything from b and b to all inclusive (the alcohol was included also, jippi). 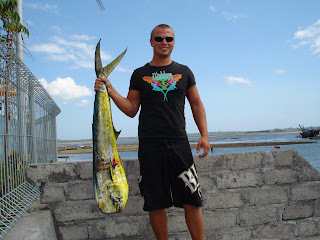 Again you have different activities in the resorts, just pick what you like to do. We did that! wow, nice activity. 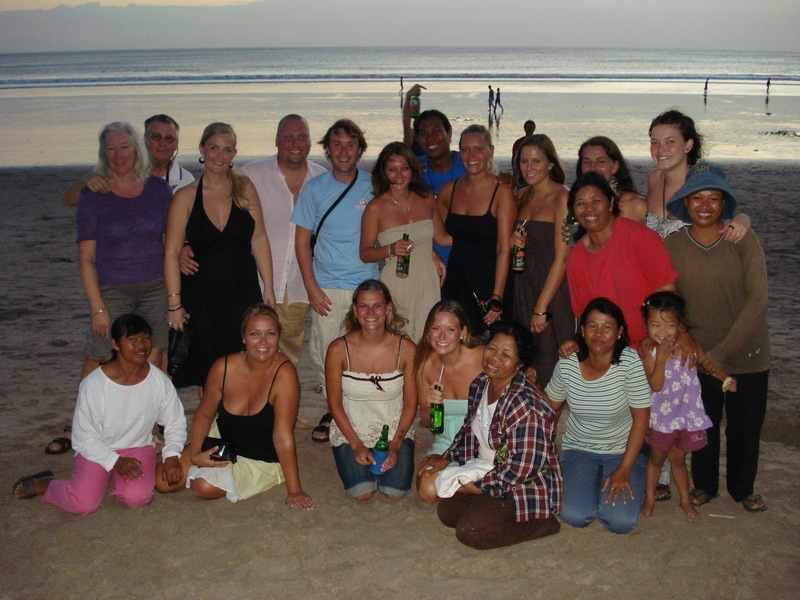 you take advantage of all the fun activities that exist in Gili Lombok. very interesting to see you enjoy your tour in Gili and Bali. I am more interested in heading Gili Lombok, because the life of this place seems quieter than Bali. but I do not know much about the accompanying tourist accommodation. is as Bali? I want to know. but I know one who might be a recommendation, you can see it in http://marinasrikandi.com/services/ .... thanks fo share. nice post, great photos. Thank you. 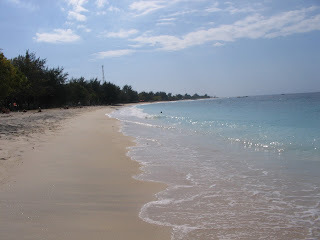 I agree that Gili and Lombok is a lot quieter than other places in Bali. So much to see and do in a very relaxing atmosphere.